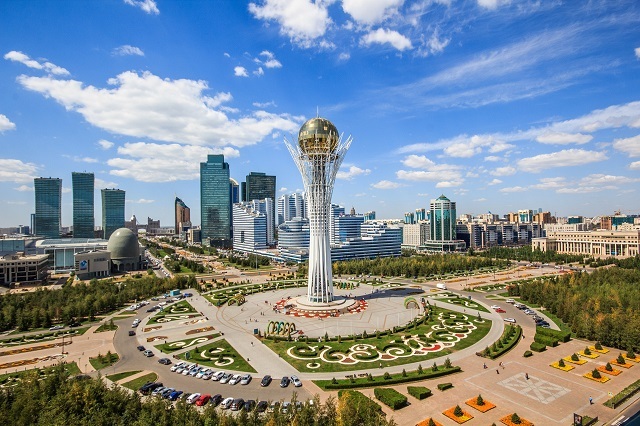 Kazakhstan's new President, Kassym-Jomart Tokayev, suggested renaming Astana in honor of the first President, Nursultan Nazarbayev, Tengrinews.kz reports. “It is necessary to perpetuate the name of our great contemporary - the first president of the Republic of Kazakhstan Nursultan Nazarbayev: our capital must bear the name of our president and be called Nursultan. I would like to add that such a proposal has already been expressed by parliamentarians in a declaration adopted on November 23, 2016 on the occasion of the 25th anniversary of Independence of our country,” said Tokayev after taking office. It should be recalled that on March 19, Nursultan Nazarbayev announced the termination of his powers as president of the country. He thanked the people of Kazakhstan for their support in all the presidential elections and assured that he remains with the people as a citizen of the republic. “I remain the chairman of the Security Council, which is vested with extensive powers to determine domestic and foreign policy of the country,” Nazarbayev said.